Made in Switzerland, the BMC Teammachine family has always upheld a strict list of requirements for their line of bikes that were defined by the demands of WorldTour facing. This includes a balance of an ultra lightweight frame, a bike built for climbs and grueling courses, and rapid fire acceleration and shifting for aggressive racing attacks. 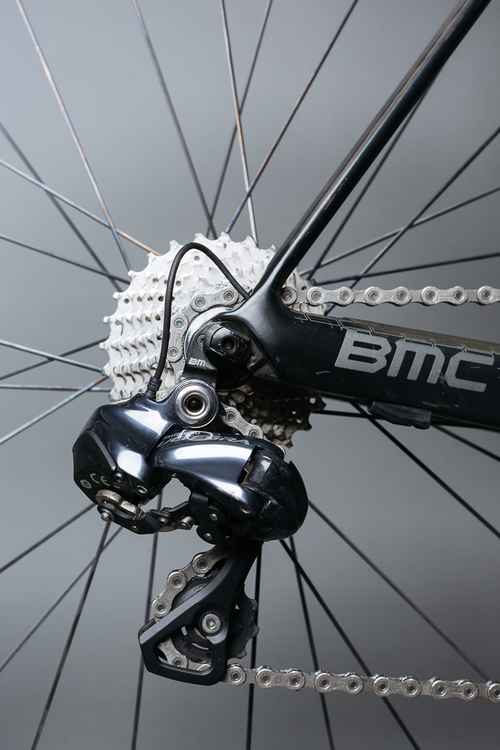 The engineers at BMC developed their own proprietary ACE technology which went through tens of thousands of design prototypes before ending up with the SLR — this was the world’s first in the finest combination of stiffness, compliance, and lightweight design. Ever since, this series by BMC has been incredibly popular. 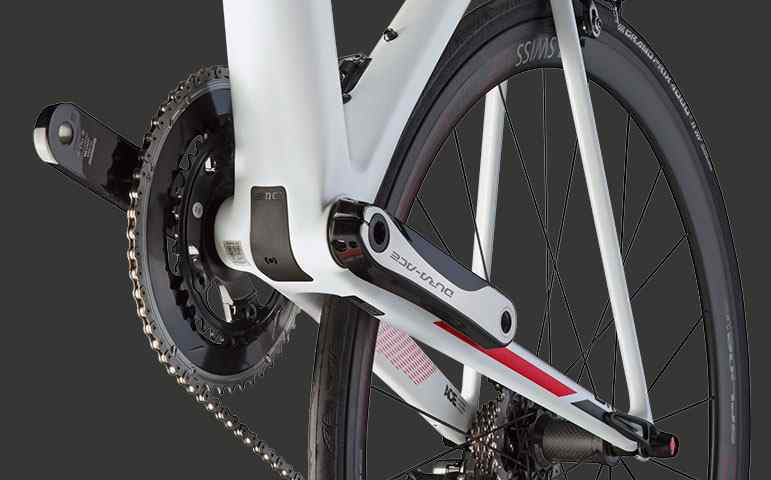 We now have the SLR01 in multiple variants, divided by the Shimano components use and a few tweaks. We’re going to focus on the highest quality model — the Dura Ace Di2. This incredible model has everything an endurance rider looking to speed past their opponent is seeking in a road bike. 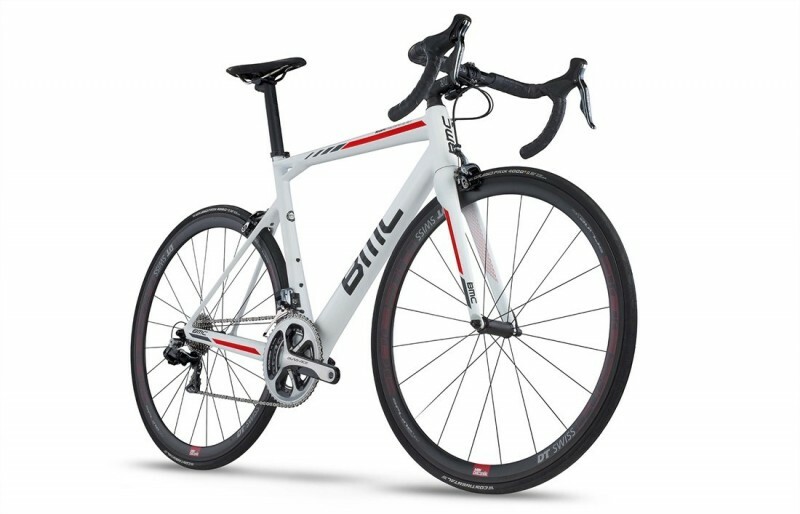 With the best in technology, a furious design, and world class Shimano components, this BMC Teammachine is built for the WorldTour and is well suited for any type of racing for the masses who can afford it. Before we dive into the Dura Ace Di2 specs, let’s take a look at the pricing for this racing cycle. 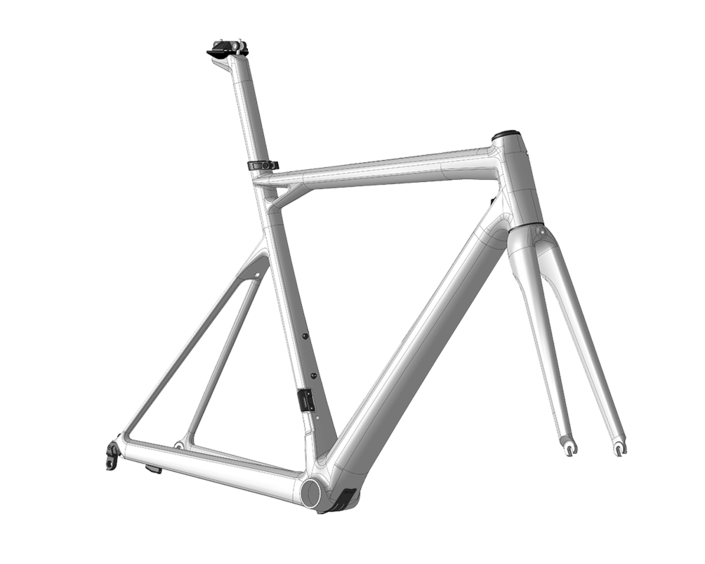 The frameset alone for a 2017 model Teammachine SLR01 costs around $4,499.00. For the full, latest 2017 Teammachine SLR01 Dura Ace Di2 (full bike), it will cost you around $11,999.00. If you don’t want to spend so much money, check out the different pricing options below for each model and consider a lower priced model. You can always upgrade the components yourself or start fresh from the frameset. However, since the price of the Ultegra model is only $500 more than the frameset alone, you would benefit from buying the Ultegra and building your components up to save money and to customize your ride to your liking on a budget you can control. Note: You can also find great deals by buying one of the 2016 SLR01 models, which come in the same variants as the 2017. Nearly all component parts are the same with a few exceptions and the 2016 models are incredible, award winning, and can definitely give you the best ride. 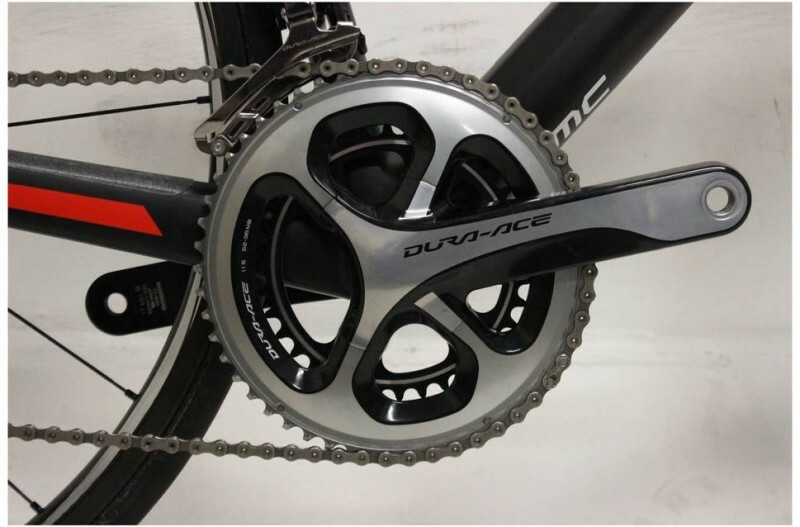 Okay, now let’s get into the amazing specs of the 2017 model SLR01 Dura Ace Di2. This beautiful piece of Swiss craftsmanship has never looked or performed better. With ACE technology, 01 Premium Carbon, Shimano Dura Ace Di2 components, and a DT Swiss Mon Chasseral RC 38 C Carbon Clincher, this bike will blow you and your opponents away. 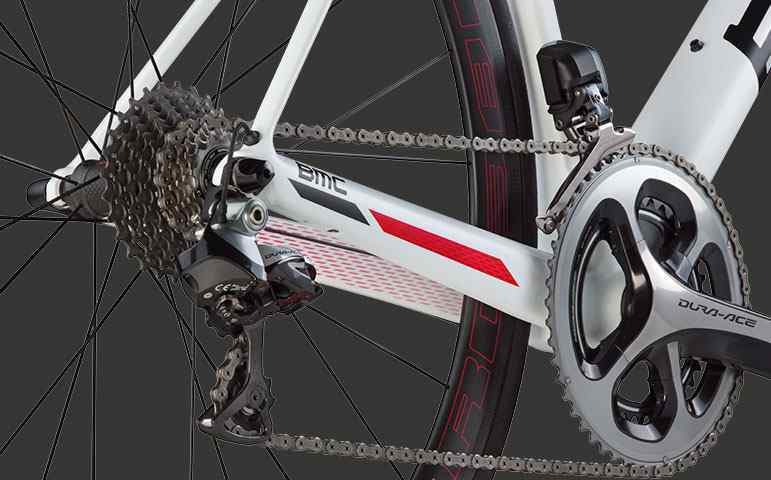 The Teammachine SLR01 Dura Ace Di2 by BMC is the lightest road bike in their lineup and has one of the lightest framesets that are commercially available, at 790g for a size 54cm. 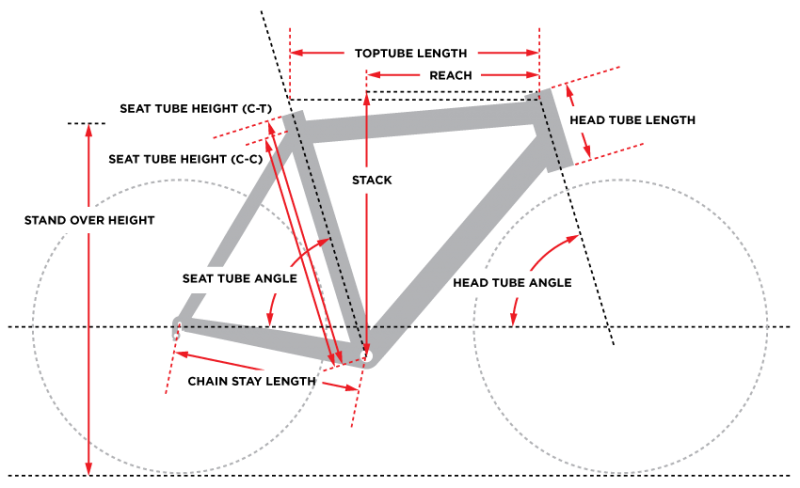 However, lightweight frames are not automatically better for racing or more aerodynamic — it also depends on the design and geometry of the frame. BMC knocked this out of the park as well. The engineers at BMC blended a unique combination of lightweight premium carbon with a design that promotes stiffness and compliance that is ahead of its time. 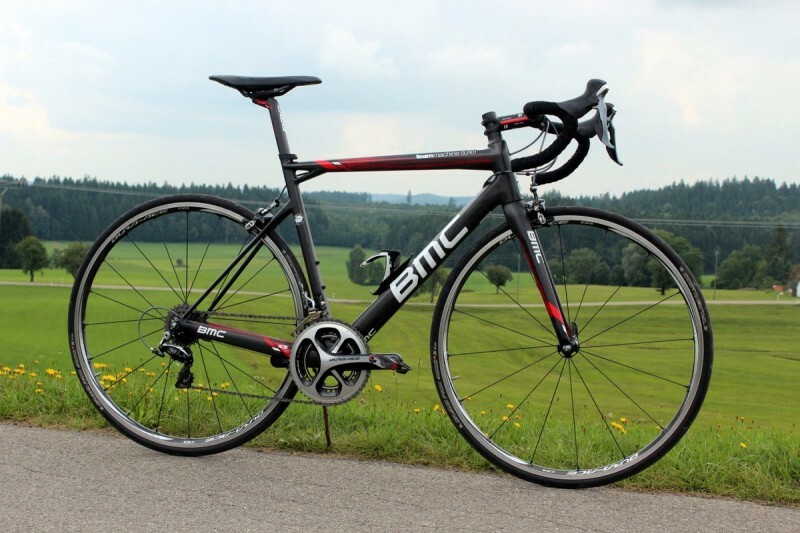 BMC’s tagline of this bike model being “Acceleration Re-defined” is more than a slogan. The engineers made this their philosophy during the construction of the frame. Every stomp of those pedals will show you first hand that even the hardest of accelerations and sharpest of climbs need less effort and are executed better than the bike you are likely riding right now. You can attack and switchback and everything in between — with the stiffness this model provides, you have complete control over your ride for superior turns, climbs, and endurance. With BMC’s ACE Technology, the 2017 Teammachine SLR01 will offer superior compliance for a regular day or the best racing day of your life. 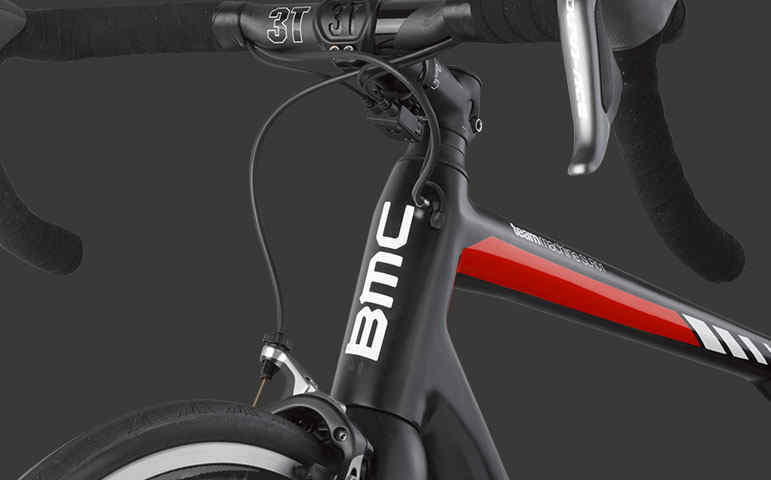 Since this model by BMC was designed and made for WorldTour riders, you can guarantee your ride will be exceptional. In addition to the SLR01 series, BMC also offers 2016 SLR02 models, 2017 SLR03 models, 2017 TMR01 and TMR02 models, and new for 2017 – the ALR01 model series. What was the Best Bike of 2016?